This reduction in price is assurance that fuel cell technology is moving past the grass-roots demand for cleaner fuels, cleaner air, and greener technology and into the mainstream. It is now gaining ground based on a cost per mile/kilometer basis when compared to diesel powered engines. In short, fuel cell technology for urban transportation and mass transit is not only necessary for healthier communities, it is commercially viable and economically sound. The capital cost of a fuel cell bus has steadily dropped year-over-year. It has dropped by 75 percent since 2010, and the expectation through 2020 is that it will continue to drop in the coming years by as much as 20 percent. Yes, 20 percent more savings in the next two and a half years. Fuel cell-battery hybridization not only improves the buses’ operational performance, it also significantly reduces their cost. Today, hydrogen fuel cell buses are actually battery-fuel cell hybrid electric buses - battery-powered electric buses that use hydrogen as the fuel source to “recharge” the battery when depletion occurs. Further improvements in hybridization technology have decreased the size of the fuel cell stack from several 100 kilowatts to under 100 kilowatts. The reduction in size equals reduced cost and reduced weight. The volume production increase driven by the rapid adoption of fuel cell technology in China is reducing the manufacturing cost of the fuel cell power modules. Meanwhile, the technology is evolving rapidly, increasing durability (over 23,000 hours of operation) and lowering life cycle cost. Fuel cell-battery hybrid electric buses are also benefitting from the battery and electric drive cost reductions as well as growing production volume of electric buses, as they share over 90 percent of the same components as battery electric buses. And the larger the manufacturing runs per year, the cheaper it becomes to build the electric buses (battery or fuel cell-battery hybrid). In addition, more players have entered the manufacturing game. Competition between suppliers and bus manufacturers is positively affecting pricing for municipalities and operators around the world. On the end-user side of this equation is the fact that the "new" technology is no longer new and that means that bus transit operators are becoming familiar with how the technology works and seeing the positive impacts in their fleet operation. With millions of kilometers in road service in different climates, fuel cell technology has proven to work with little performance degradation over the seasons and years. 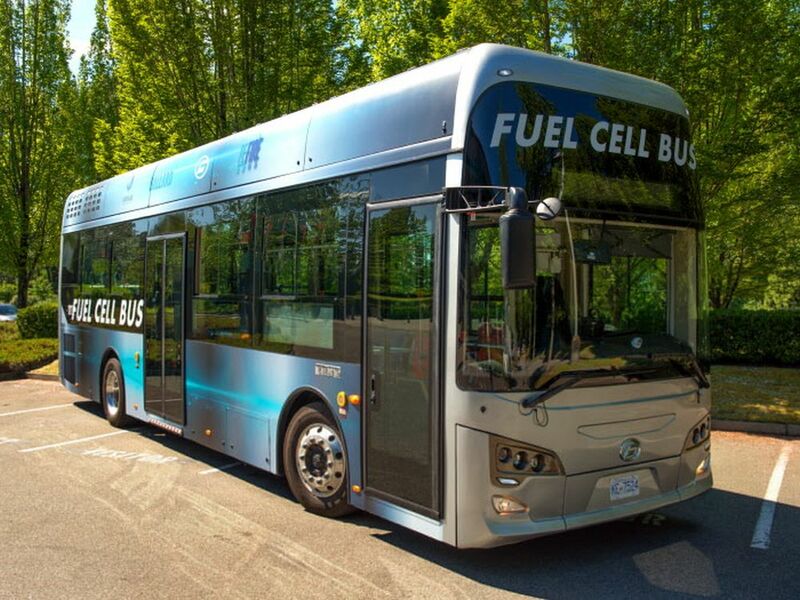 Battery-fuel cell hybridization has helped reduce hydrogen fuel cell bus cost due to the reduced size and cost of the fuel cell system, as well as battery and electric drive cost reduction. And the wider adoption and manufacture of fuel cell technology has decreased production costs. In short, the decrease in fuel cell bus cost is opening doors for more bus transit operators to embrace the technology. Therefore, it is becoming a realistic, economically viable option for municipalities who want to create cleaner, more livable communities for their citizens. Join the conversation. Let us know your thoughts hydrogen fuel cell technology in the comments.